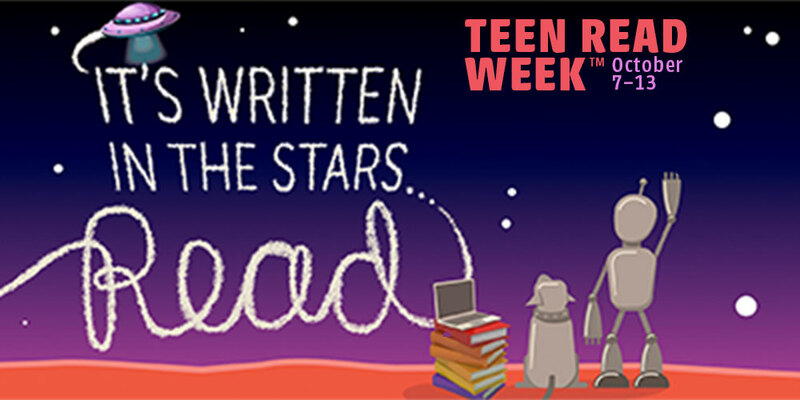 Originating from the Young Adult Library Services Association (YALSA), this Teen Read Week is from October 7th-13th, and its theme is "Written in the stars", all to encourage any reading in fantasy, science fiction, and anything else otherworldly-in order to expand your imagination and thinking with out-of-the-box ideas! Heart of Iron by Ashley Poston - This is a fast paced science fiction tale about Ana, a space pirate, and the lengths she will go to fix her sentient android, D09. Also available as an ebook. Autonomous by Andy Marino - William wins one of the new driver-less cars and takes some of his friends on a cross country trip that turns out to be more action packed than they anticipated. The Diminished by Kaitlyn Sage Patterson - Bo is a singleborn and destined to rule. Vi was born a twin, but her twin died in infancy, marking her as one of the diminished. Bo and Vi's lives intersect after a shocking revelation. Also available as an ebook.